A young boy is kidnapped and sped along the highway through the Southern US States in a 1970s Chevrolet. But his kidnappers are his father and a good friend, saving the boy from religious fanatics. Nothing is what it seems in Midnight Special. 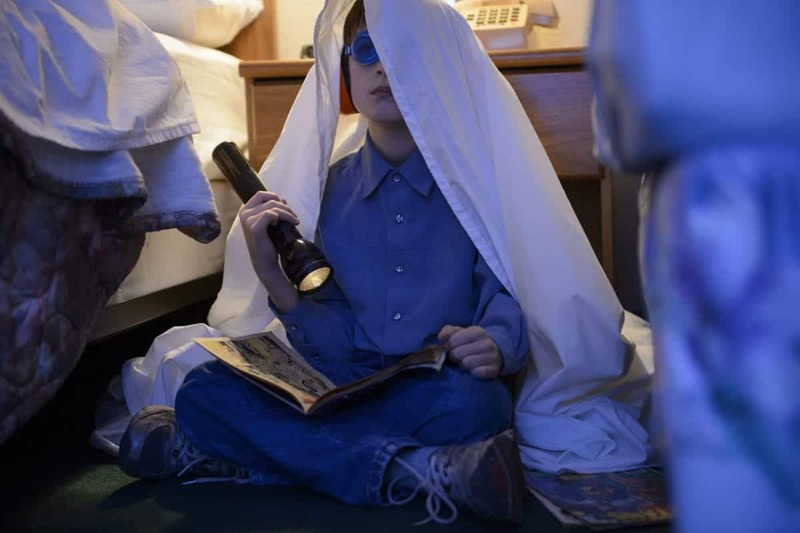 Slowly we learn what is special about young Alton Meyer, why both the FBI and a religious cult are interested in him, why he is wearing protective goggles and is never allowed to see daylight. The slow revelation of the story is contrasted by fast cars, fast shootings and fast turns of events. Part science-fiction, part thriller, part family drama, writer/director Jeff Nichols doesn’t let the supernatural elements overpower the universal suffering of parents having to let their children go. But it never lingers on these emotions long enough to become melodramatic. Someone will turn around a corner and get shot, or a satellite will crash out of the sky – it’s action-packed and full of suspense and surprises. The suspenseful pace and rhythm is counterbalanced by the calm and nuanced performances. Michael Shannon as the father, Roy Tomlin, is a classic tormented soul. Raised by a cult, which later took his son from him, he nonetheless feels what is right, and will do all in his power to protect his son. But Shannon never slips into brutish action hero territory, he shows a sensitivity and a fragility that makes Roy a remarkable character. Kirsten Dunst as the Alton’s mother is a heartbreaking mix of sadness and resolution, and Joel Edgerton as their helping friend Lucas manages to convince us that a grown man (a state trooper no less) can be reduced to shakes by a slightly supernatural eight-year-old. The eight-year-old who is (literally) the shining star of the film. Jaeden Lieberher has to follow a long tradition of creepy kids in films, and he does so with bravura: hitting just the right balance of cute and scary, and emanating a calmness and authority that is in itself unsettling. The excellence of the actors extends beyond the central cast. Religious fanatics as well as FBI agent all convincingly portray their fascination with the boy. And Adam Driver makes an appearance as a careful, puzzled NSA officer, bringing calm and slight absurdity into an otherwise straightforward anxious atmosphere. This atmosphere is reinforced by the visual claustrophobia present throughout most of the film. The camera is locked in with the protagonist in a car, a small room, a corridor… except when this is contrasted by the open plains of the South US landscape, with its endless corn fields, lakes, and open roads. This visual ambiguity effectively reflects the emotional depths of the protagonists, and intensifies the enigmatic ambience which overpowers all elements of the film right until the fantastically improbable end. While it lacks any kind of profound or thought-provoking story, Midnight Special is a thoroughly entertaining, thrilling, and skillfully choreographed work of cinema, which will fall well with fans of the classic sci-fi/supernatural genre.